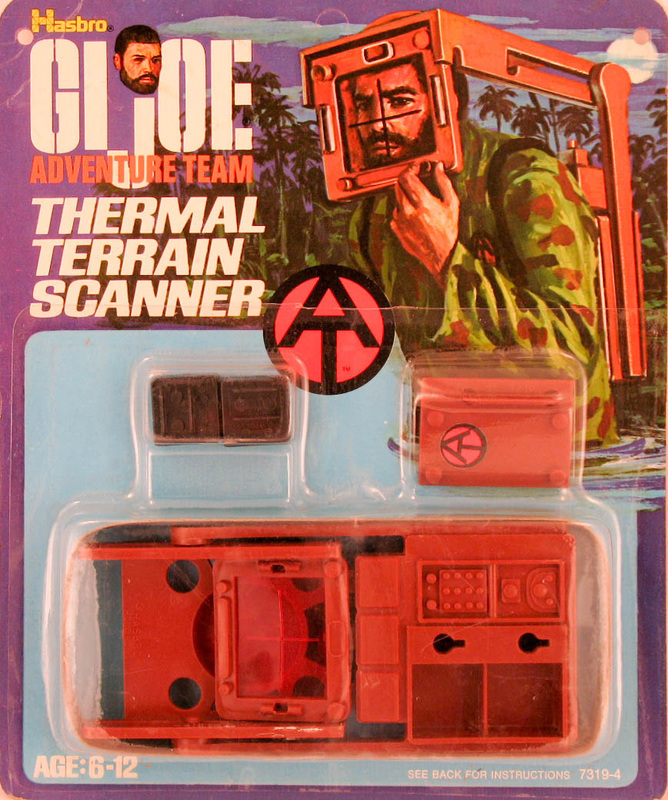 The Thermal Terrain Scanner (7319-4) is a 'battery' powered back pack scanning unit that allows Joe to spot heat signals in the distance. It's forward thinking technology when you think about the scanners used by the military and police today. The black battery pieces are often missing when the set is found loose. It was later re-released in red for the 1975 Jettison to Safety set.